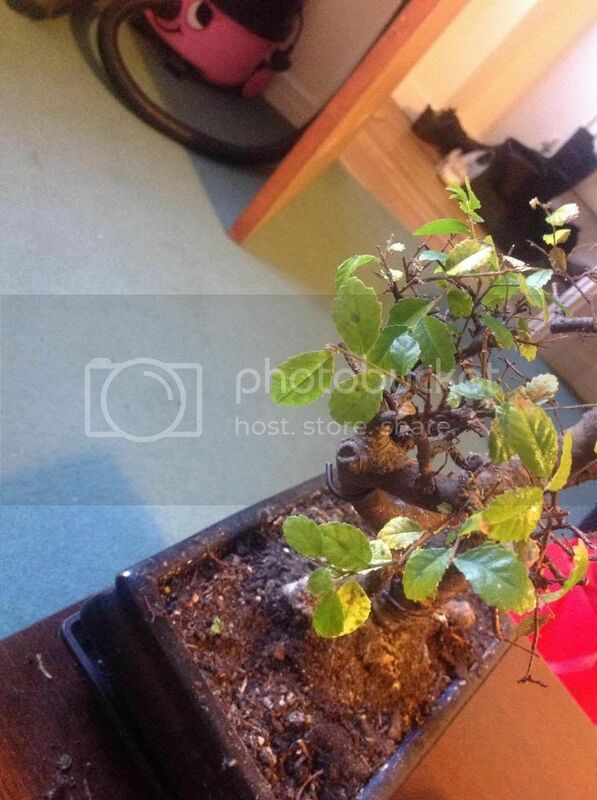 I have a Chinese elm I'm having problems with and wanted some advice, it's being kept indoors over winter, due to my own misunderstanding, and it is struggling, it has lost 50% of its leaves and I emergency repotted it due to fungus gnats but it just appears to be getting worse, it is also developing black spots on the leaves that are concerning me. These issues are water under the dam now. Moving forward, it seems that your images show the current state of the soil, after the re-potting, correct? If so, then it appears that the soil, perhaps compost to you, is not ideal. But again, there is little to be done right now. As you have surmised, a Chinese Elm is not going to be at its best indoors. So the next question is are you able and willing to move this outside this spring? Assuming so, keep it as cool as you can and monitor your watering carefully. The black spots are likely just that, black spot fungus. I have one that is plagued with this malady, it seems that the fungus re-emerges each year. I have had some, albeit temporary, success with a commercial fungicide. Yeh those are current pictures, the soil is fairly composty but is a bonsai mix and is quite fast draining. So you think just carry on then and put the tree outside come spring? Why is it leaf dropping now?! I used the term compost because that seems to be the common term for potting soil in your region. A good bonsai soil should be very open and free draining and not be finely textured or largely organic. These types of soils (composts) tend to stay wet far longer than they should. Unfortunately they are also hard to wet thoroughly leading to moisture levels being either too high or too low. I can't say for certain but probably just the accumulated stress of re-potting and being kept in low light conditions. Also new growers tend to water too frequently, this in conjunction with the heavy/dense soil could also be partly to blame. So you think just carry on then and put the tree outside come spring? Yes, I don't see a lot you can do right now. Monitor the soil moisture carefully, (search the forum for something called the 'chopstick method' to check below the surface. If you have been misting it, don't. This tends to spread any black spot fungus that may be present. 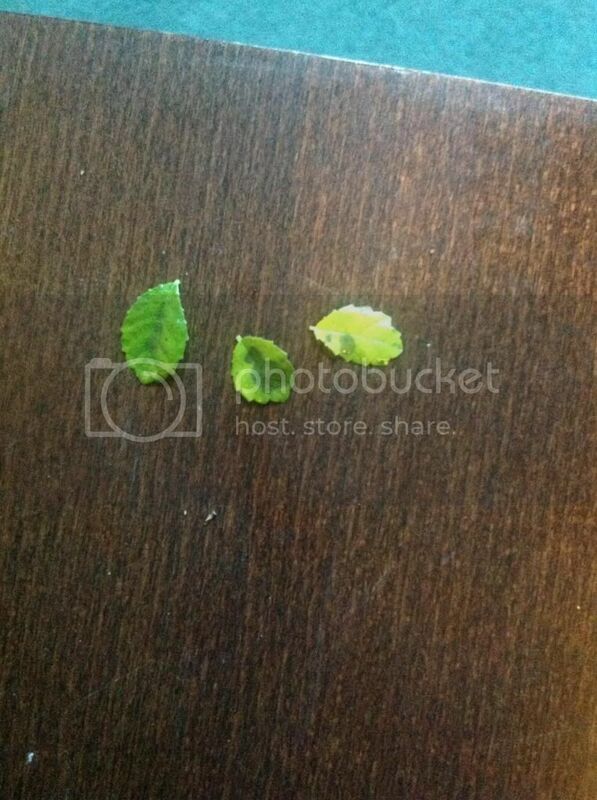 I never mist Chinese Elms because of this. If you have a spot that is cool enough, now might be a good time to induce a bit of a rest period before spring is upon us. It won't go fully dormant but it might help. It's hard to say but there is a good chance it will pull through. 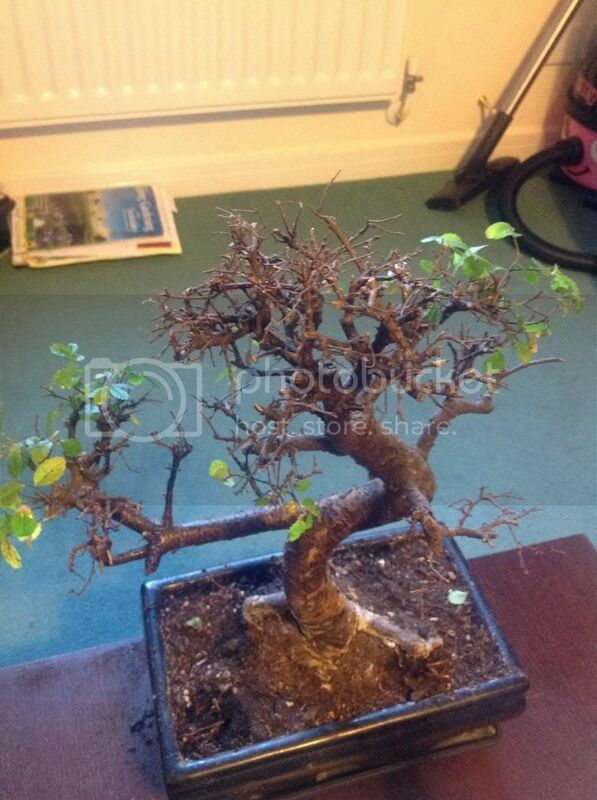 New To Chinese Elm-Advice Please! !